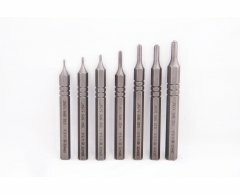 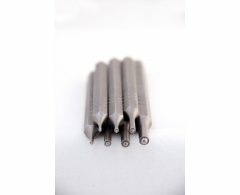 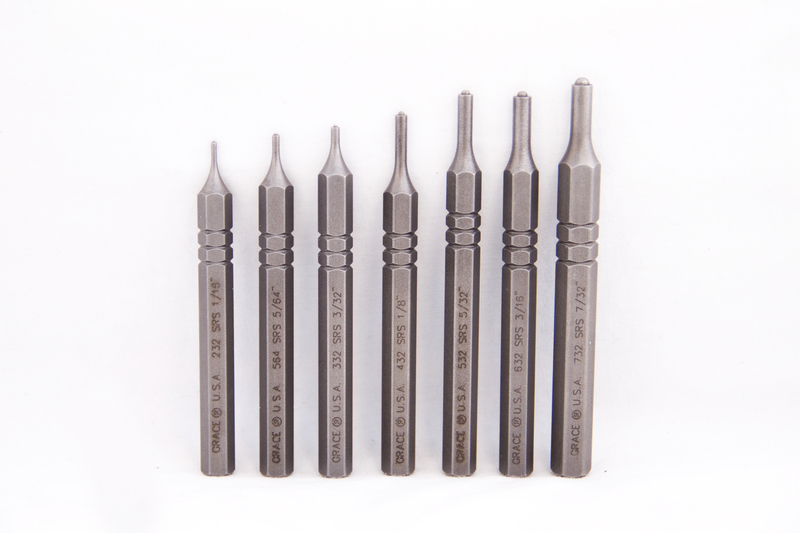 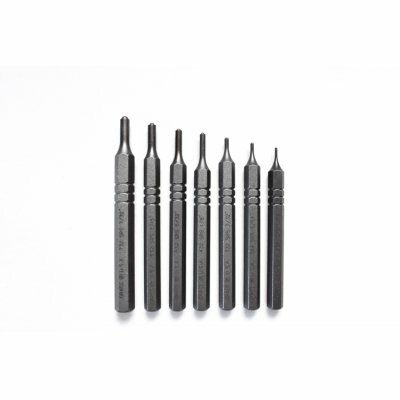 GRACE USA 7 Pc Steel Short Roll Spring Punch Set is made with utmost precision. 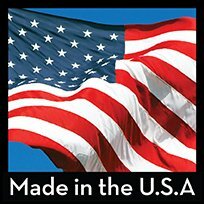 Made in the USA from High Carbon Molybendenum Tool Steel and properly heat treated and hardened the entire length with tempered striking end. 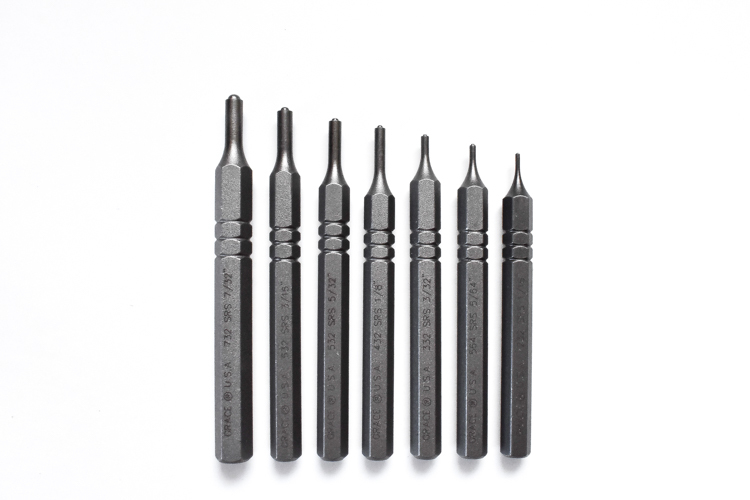 Manufactured from hex stock steel vs. round which helps stabilize punch from rolling away from the user. 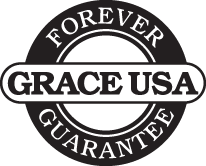 Packaged in a vinyl pouch for safe storage. 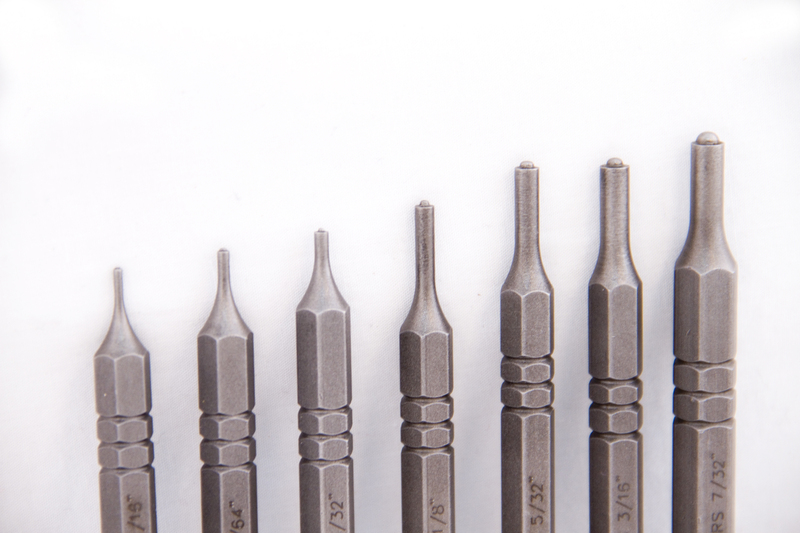 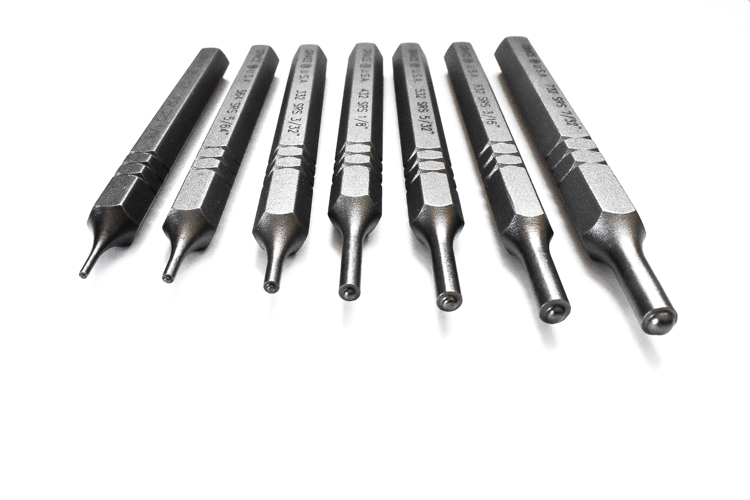 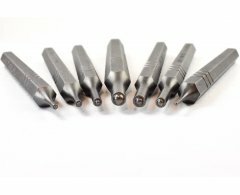 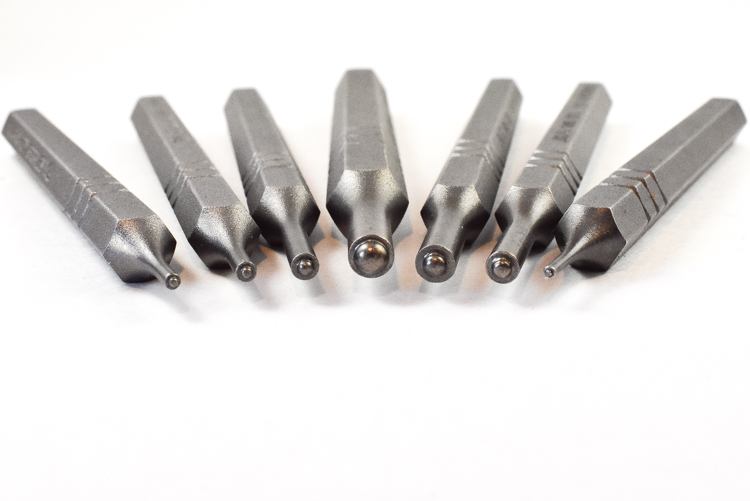 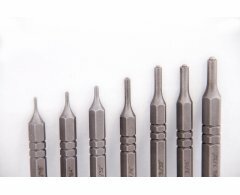 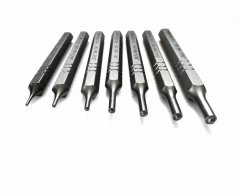 The Short version of our Roll Pin Punch Series is designed to start the difficult roll spring/pins in motion without causing any damage to the pins or punch. 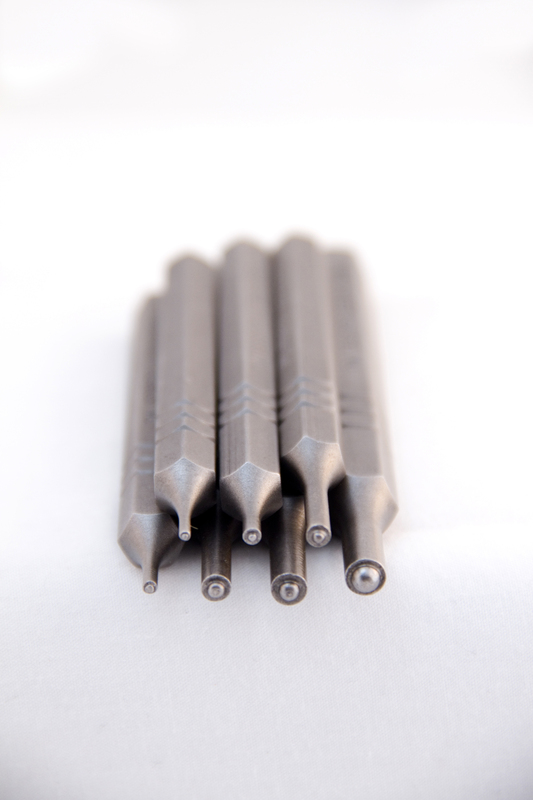 The Short shaft provides more control; putting your hand closer to the pin and additonally you won't be so apt to bend or break the finishing roll pin punch.